Better than takeout – ready in less than 20 minutes. 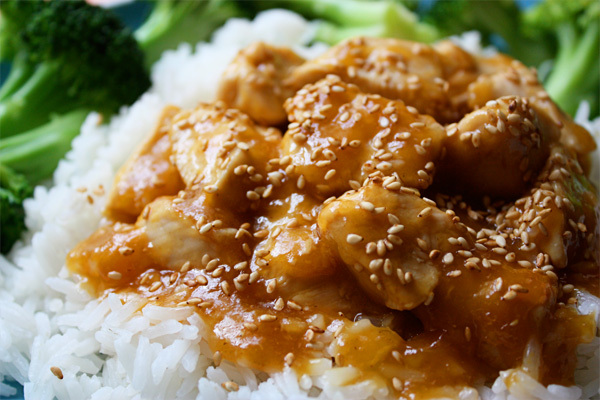 I made one of my favorite meals ever for dinner today, my Orange-Sesame Chicken. If you like Chinese food then you know that much of it is deep fried but this chicken is just lightly sauteed and the sauce, made with fresh-squeezed orange juice, is fantastic. It takes longer to cook the rice than it does to make this healthy meal so be sure to start your rice first. To show how incredibly easy it is to make my healthy Lemon Brownies, I’ve made a video. These awesome low-fat brownies have no butter and it’s a simple, easy recipe… one bowl, no mixer needed. But even if they weren’t this easy, I’d still be making them all the time – they are that good! Click here for my healthy recipe. 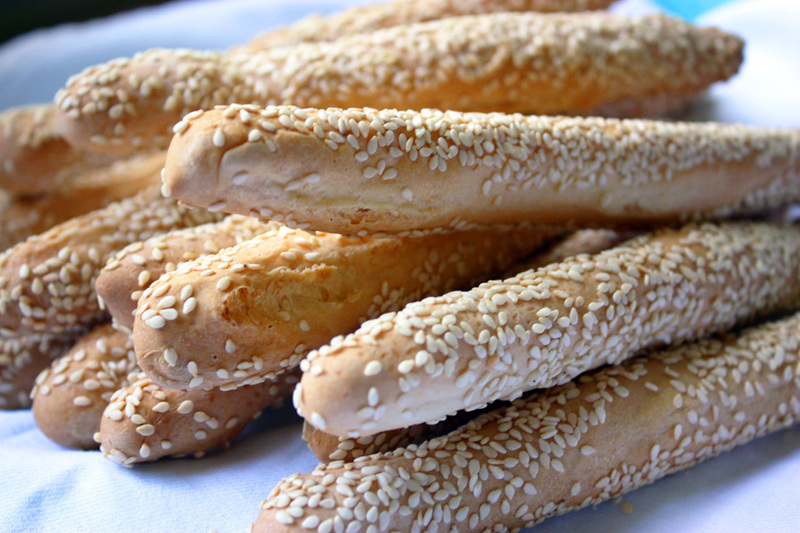 My stepmom is Greek so I have grown to love Greek food (and her, too!). She told me that you can cook almost any Greek dish with olive oil, lemon, and oregano and this delicious side dish is the perfect example. 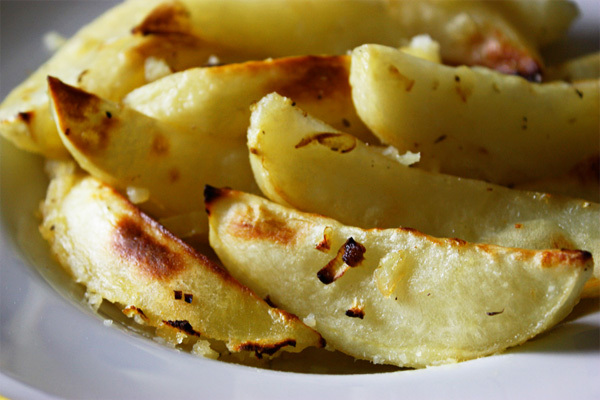 The potatoes are marinated and roasted in the oven until they’re tender inside and the edges are crispy and golden. And wait until you taste this delicious combination of fresh lemon juice, garlic, and oregano. I am interested in the Greek potatoes recipe. Is that recipe still availabe? Also, what would you recommend serving with chicken gyros for a light lunch? I just posted the Greek Lemon Potatoes recipe and as for the chicken gyros lunch, I would say that’s already a pretty hearty lunch. So if anything, I would only add some crudite or a salad. One suggestion I can make is to serve a middle eastern cucumber salad which would tie in beautifully with the gyro which is traditionally Turkish or Greek, depending who you ask. I love these fresh cucumber salads which are almost like a salsa, typically made with Persian cucumbers, onion, tomato, lemon juice, and olive oil. Nate asks… Jenny, I notice in your YouTube videos you prepare your ingredients over what looks like a mat of sorts (the blue surface beneath all your bowls, etc.). What is it exactly and what would you recommend to help one cook mess-free, or at least with minimal mess? I’ve used nothing but paper towels. Have a question on the “Easy Granola” recipe – instead of adding 4 cups of rolled oats, have you ever tried adding different cereals, for example: rye flakes, spelt flakes, oatbran flakes, buckwheat, barley, millet – maybe just mixing two different cereals at a time. Would they be suitable for toasted Granola? What about seeds – can these also be added, like in your Granola Bars – which really are great. P.S. you have a great website with lots of interesting info and ideas and I love your videos. My answers are yes, yes, and yes. One of the best things about making granola is you never have to make the same recipe twice. My sister makes it all the time and she told me she changed it so many times, she actually forgot her original recipe. So try some new additions (make sure it’s “rolled” spelt or barley) and seeds are always a great addition. I sometimes add wheat germ to mine, too. Let us know how your creation turns out. 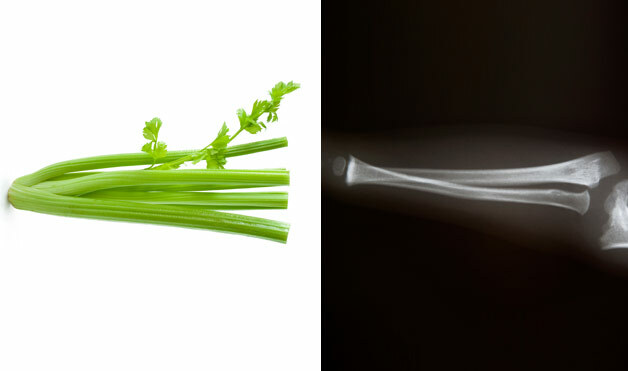 Long, lean stalks of celery look just like bones—and they’re good for them, too. Celery is a great source of silicon, which is part of the molecular structure that gives bones their strength. Bones are 23 percent sodium, and so is celery. Celery also has blood pressure reducing properties. It contains active phthalides, which relax the muscles of the arteries that regulate blood pressure so the vessels dilate, causing blood pressure to drop. Since it’s low in calories and high in fiber, it’s good to include celery in your diet. I cook with the outer stalks and keep the small, tender, centers in a baggie in the fridge for snacking. 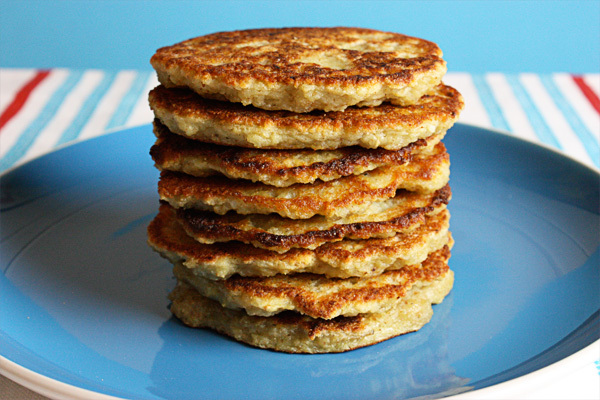 My dad used to make the best potato pancakes but my recipe has a secret he never knew – it’s in how you drain the potatoes. 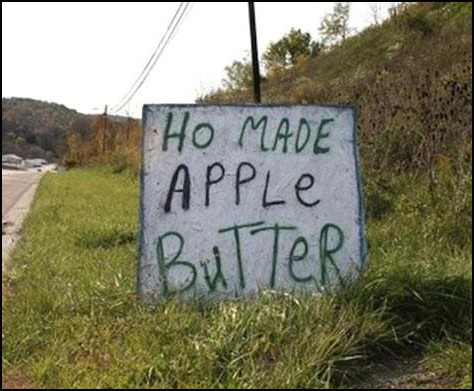 Also, his method took some work but that was before food processors were invented. I used to help him grate the potatoes on a box grater but now, thanks to my food processor, I have an easy way to make fantastic Polish placki kartoflane and mine are healthy, never greasy, and super easy. If you don’t have a food processor, you can prep the potatoes old school style, grating by hand, and you’ll still get the best potato pancakes ever. Greetings from . . .